It’s time to celebrate. Forty years of Labels & Labeling and 60 years of Finat make a nice centennial. And to be honest, it feels like a century since these two icons were created in post-war Europe. What the European label and narrow web industry has brought in terms of innovations, is what took other industries in the fields of packaging and printing ages to achieve. Having been involved on the sidelines via several pan-European trade associations for decades, I believe there are two important factors that have helped to facilitate the dynamism of this young technology in Europe. Firstly, pressure-sensitive labeling (in Finat we refer to this as ‘self-adhesive’) only conquered Europe after the continent was being cleared of the devastations of the Second World War. Unlike in North America, where the technology was already more advanced, there was no homogenous European market. Europe was still divided in two blocs, and only in western Europe were the first steps towards a common market taken. Self-adhesive labels were still a small niche. Where other, more mature packaging and printing industries were organized ‘bottom up’ (national organizations setting up a European federation), our industry was founded ‘top down’. Finat’s foundation in 1958 was followed much later by the development of national organizations. The establishment of Finat enabled the pioneers and early entrepreneurs to make connections, establish business relationships across borders, and build trust, sometimes even resulting in lasting friendships – the necessary ingredients for knowledge transfer, B2B collaboration and the development of common standards and best practices. Because the industry was only in its infancy, there was a spirit of ‘let’s grow together’, and entrepreneurialism became the common denominator in the label industry’s shared values and beliefs. 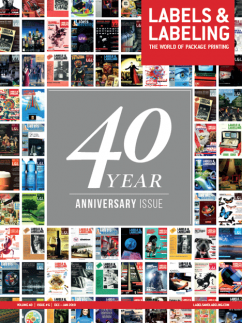 In his article in our own 60th anniversary edition of the Finat Yearbook, Mike Fairley describes how the history of Labels & Labeling and Finat is intertwined. Because of language barriers, in Finat’s early years, English-speaking volunteers had a strong influence in the organization. 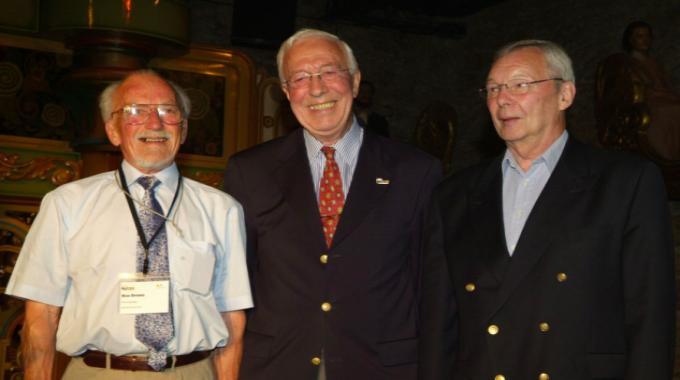 One of them was Ron Spring, L&L’s co-founder alongside Mike Fairley who was member of Finat’s Marketing Committee and later founder of the prestigious Finat Label Awards competition. Ron was also a passionate writer about the industry, and was the instigator of Finat’s Educational Handbook – translated into German, French, Italian, Spanish and Turkish – that for a long time served as the starting point for newcomers in the industry, until the Label Academy took over more recently. Mike tells me that, since then, he has never missed Finat’s annual conference, so I take this opportunity to congratulate him on his 40th appearance in Finat at the European Label Forum 2018 held in Dublin. This brings us to the second key factor in my history ‘development theory’. The development of an industry not only depends on the connection between people and companies, but also on the flow of information between them, the exchange of knowledge and expertise and creation of new knowledge by combining existing facts and data. 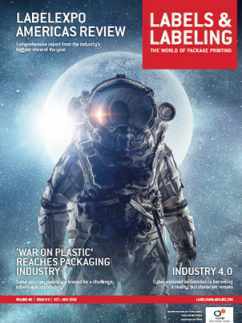 Since its first edition, Labels & Labeling has been more than just a trade magazine with company news, product launches, company appointments, event reports and other updates. 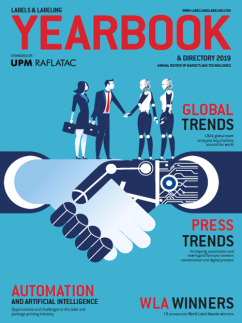 Being so embedded in the label and package print industry, and driven by the institutional memory of Mike ‘Encyclo’ Fairley and others, the magazine, along with the recent development of the Label Academy, has become a beacon of knowledge and a reference source. 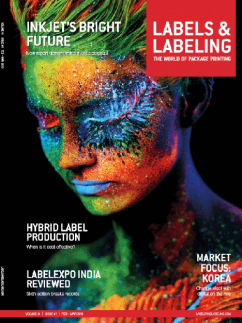 Its big brother Labelexpo Europe – already in creation by Clive Smith when the magazine was first published – has become a two-year benchmark in the industry cycle. I congratulate the founders and staff of Labels & Labeling on the 40th anniversary of their brainchild. Your success reflects upon a bright future for our industry. 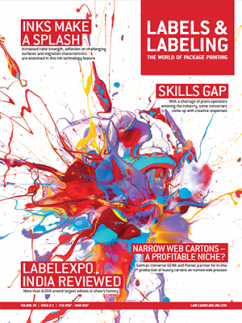 Labels & Labeling carries opinion and comment by leading names from across the label industry covering a range of topics.